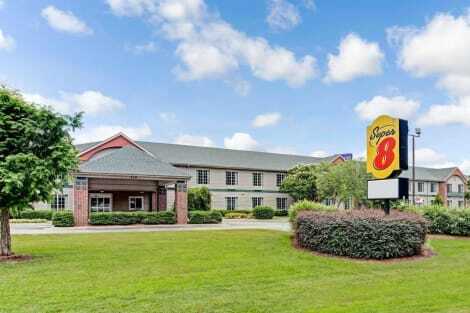 When you stay at Super 8 by Wyndham Smithfield in Smithfield, you'll be in a shopping district, within a 5-minute drive of Carolina Premium Outlets and Ava Gardner Museum. This motel is 29.5 mi (47.5 km) from Coastal Credit Union Music Park at Walnut Creek and 3.3 mi (5.3 km) from Rudy Theater. 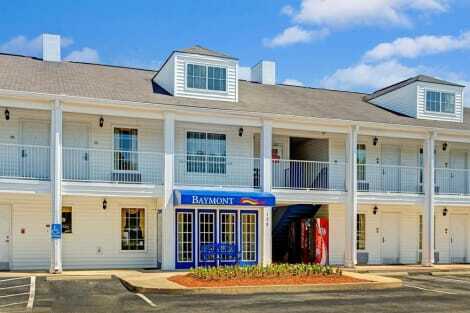 Located in Smithfield, Baymont by Wyndham Smithfield is a 3-minute drive from Carolina Premium Outlets and 6 minutes from Ava Gardner Museum. 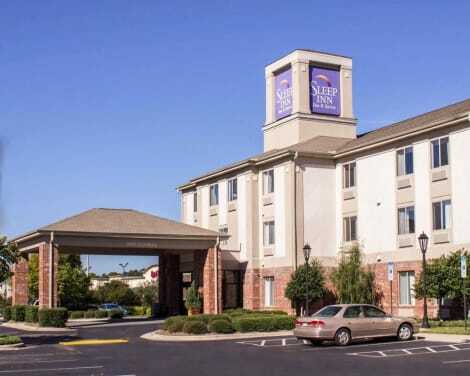 This hotel is 31.9 mi (51.4 km) from Raleigh Convention Center and 27.8 mi (44.8 km) from Coastal Credit Union Music Park at Walnut Creek. Make yourself at home in one of the 74 air-conditioned rooms featuring refrigerators and LED televisions. Complimentary wired and wireless Internet access keeps you connected, and satellite programming provides entertainment. Bathrooms have complimentary toiletries and hair dryers. Conveniences include phones, as well as desks and microwaves. Featured amenities include complimentary wired Internet access, a 24-hour business center, and express check-in. Planning an event in Smithfield? This hotel has facilities measuring 416 square feet (37 square meters), including a meeting room. Free self parking is available onsite.